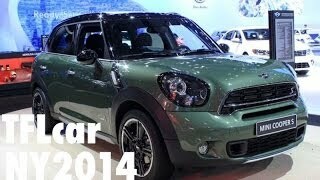 MINI has lifted the curtains of its all-new 2015 MINI Countryman at the 2014 New York Auto Show. 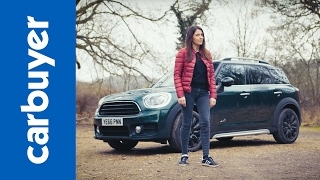 The car has been ever-so-slightly updated that it would take an avid Countryman fan to differentiate the 2015 MY Countryman. 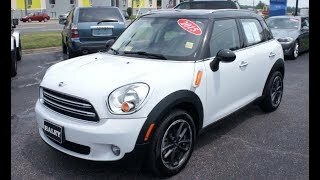 The 2015 Countryman features a refreshed hexagonal radiator grille, LED fog light, parking and daytime running lights. A 1.6 liter turbocharged 4-cylinder engine powers the new Countryman and delivers 190 hp of power and 177 lb-ft of torque. With this powerplant, the car sprints from 0 to 100km/h (62mph) in just 7.5 seconds and has a top speed of 217 km/h (135 mph). 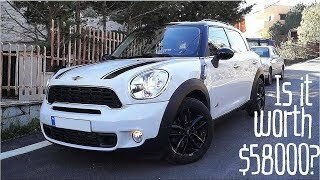 The 2015 MINI Countryman will go on sale in Germany later this summer and will be followed shortly there after in the US. Pricing would be announced closer to the on-sale dates.